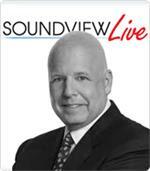 Renowned customer experience expert Shep Hyken explains how consistently amazing customers through stellar service can elevate your company from good to great. All transformations require a role model, and Shep has found the perfect role model to inspire your team: Ace Hardware. Ace was named as one of the top ten customer service brands in America by Businessweek and ranked highest in its industry for customer satisfaction. Through revealing stories from Ace's over-the-top work with customers, Shep explores the five tactical areas of customer amazement: leadership, culture, one-on-one, competitive edge, and community. 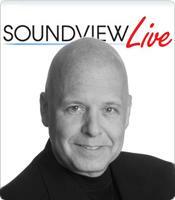 In Amaze Every Customer Every Time, author Shep Hyken tells the story of a cyclist hit by a car. Dazed and bruised, the front wheel of his bike bent "like a taco," the cyclist wanders into an Ace Hardware Store a half a block from the accident and asks the cashier if Ace sells bicycle wheels. Ace does not, but an associate — as Ace employees are called — volunteers to look at the bike. Then, as the cyclist sits nursing his bleeding shoulder, the associate, whose name is Mike, bangs the wheel back into shape using the curb and a rubber mallet, adjusts the tension on the spokes so that the wheel will spin properly, and uses duct tape to fix the front fender. The cyclist is able to ride home and later writes, in a grateful letter to the store, the following: "Mike, not only did you rescue a fallen cyclist and send him on his way... but you also restored his faith in the inherent goodness of human nature." For Hyken, the story illustrates the kind of customer service that Ace Hardware exemplifies — customer service that's based not just on serving or satisfying the customer, but on amazing that customer. The fact that the cyclist was not even a customer only proves his point, which is why Hyken puts Ace Hardware Store at the center of his latest book. For Hyken, the keys to the success of Ace Hardware, which has been in business since 1924, are people who love what they do, an underdog position in the marketplace in which it revels, and a passion to serve. To inspire this passion, Hyken explains, employees of Ace Hardware are led through five distinct stages related to the brand promise: uncertainty (what is the brand promise, and can it be fulfilled? ); alignment (understanding the brand promise); experience (a positive experience of the brand promise); ownership (after many such positive experiences, believing that the brand promise will be experienced every time); and amazement (consistently above-average brand experiences.) Once employees have reached the amazement stage, they are ready to lead the customers themselves through the five stages. 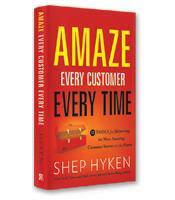 To help companies emulate the success of Ace Hardware, Hyken offers 52 tools for delivering amazing customer service. He groups these tools into five areas: leadership, a culture of service, one-on-one interactions, a competitive edge and community. "Know the value of your customer" is one example of a leadership tool. The average lifetime value of a grocery store customer is about $35,000. Knowing this lifetime value, Hyken writes, leaders should have no problem giving employees the independent authority to spend five dollars to solve any customer problem. "Adapt or die," "know what drives your success," and "play to your strengths" are also examples of Hyken's leadership tools. Other tools in the book include culture tools, one-on-one tools, competitive edge tools and community tools such as "do local well." One of the tools under culture is to "tell stories" — a tool Hyken uses himself to great effect. There's the story, for example, of an elderly woman who was overcome by the heat one day. Since she had taken a taxi to the store, an associate offered to drive her home. The elderly woman regained her wits in the air-conditioned car, however, and asked the associate to stop by the grocery store — that's where she had intended to go in the first place. The associate happily obliged — another example of why Ace Hardware Store deserves its own customer service book.